With the success of Niche Site Project 1, I wanted to create a 2nd case study that would be just as successful…but in a different way. Thanks to all of you, I received lots of great suggestions as to what the 2nd Niche Site Project should be on my site here. The idea that I went with was to allow anyone to apply to be my student (as explained here). Now after narrowing down those applications to 9, I am leaving the final decision up to you! So, please read the applications very carefully and make your selection below! Anyone could apply by filling out a simple web form (name and email). Those that owned Long Tail Pro and Long Tail Classroom were given 3 extra entries. 636 people entered their name's for Niche Site Project 2! Out of those 636 people, I gave 3 extra entries to the people that owned Long Tail Pro or Long Tail Classroom and combined all the entries into an Excel Spreadsheet. I then used the random number generator in Excel to sort all the names randomly. So, the selection process was done randomly. Then I sorted all the names by lowest number (from the random number generator). The 10 names with the lowest randomly generated number were the winning applicants! I then emailed all 10 applicants and let them know they were finalists, and asked them 4 questions (see below). I asked them to keep their responses to 500 words or less in total. 1 Applicant decided he was no longer interested. The other 9 applicants returned their answers, which you can read below. The applicant with the highest number of votes will be the final student for Niche Site Project 2! What Does the Final Applicant Get? The final applicant will receive direct coaching from me to help them build their own niche site. 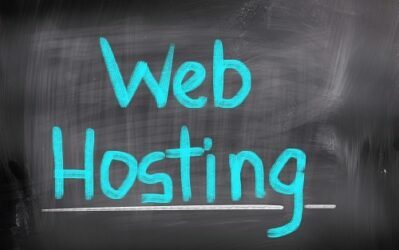 This will be a very involved process and will include every step; including analyzing keywords, finding a domain, setting up hosting and WordPress, creating content, building links, and so much more. The winning applicant and I will record skype sessions, videos, and emails where they can ask me any questions or share their progress along the way. The winning applicant will also likely submit what they've learned in the form of blog posts on NichePursuits.com as well. Overall, I will be coaching this individual from step A to Z for building a niche site. In turn, this is likely to teach all of my readers here (including you), the ins and outs of building a successful website. I have purposely left out the names or any other details about the Applicants in order to prevent any bias. I have also listed their responses below in random order…so there is nothing significant about being Applicant 1 vs. Applicant 9. So, please read through the applications and vote for your favorite! Can't decide on your favorite? I am allowing you to vote for up to 3 applicants! But you can only hit submit once, so be sure to check multiple boxes if you want to vote for more than one applicant. So, read over the applications, and use whatever criteria you want to pick the Applicant that you would most like to see be the student for niche site project 2. The applicant that receives the most total votes will receive personal coaching from me as I help them build a profitable niche site from scratch. The poll closes at the end of the day on August 26th, 2013….and coaching will begin shortly thereafter! 1. What kind of experience do you have building niche sites? Just a little – I became aware of the Niche Site Project 1 when Pat Flynn was featured on a local news station last year. Ever since, I’ve been listening to his podcasts and also discovered Spencer through Pat’s site. I really started focusing on niche site development a few months back and have been using LTP, WordPress, and Dreamweaver; also I have done some subject research, graphic design, web-programming, and content writing. If there is one message that has sunk in so far, it is to always focus on valuable content, products or services on your site; and this is where I’ve been focusing most of my energy lately. 2. How much money do you currently make from any online ventures? Nothing yet from websites – I’ve made a little from freelancing through 99designs. 3. How much time are you willing and able to put into being coached, creating a niche site, and documenting your progress each week? Flexible but have estimated: 10-12 hours/week for site creation, 3-4 hours for video discussions (depending on Spencer’s plans of course), and 5-6 hours for documenting progress. 4. Why should I pick you as a student for Niche Site Project 2? I think this is a great experiment and will be attacking it wholeheartedly. Ever since stumbling across the online income industry, I’ve been super excited and been putting the pieces in place to have my own online business. My wife and I also had our second child last July so things have been a little slow; but that’s okay because my family is awesome and I really love being a dad too. Fortunately now that the baby is sleeping through the night, I’ve been getting more time to work on my business and can’t wait to see where it all goes. I’m also one of those people that tend to immerse themselves completely in projects; five years in graduate school are a testament to that. I’m trained as a molecular biologist and love digging into interesting puzzles. As you can probably imagine, academia just doesn’t pay much so I joined a large pharmaceutical company about 10 years ago. Good money, but very little freedom to explore your own ideas. My ultimate goal is to transition to the business full time and have the independence to work on the ideas I find interesting. One way or another, I will make my online business a viable entity. The opportunity to work with Spencer one-on-one could definitely accelerate the pace. If I’m selected – Oh wow, sounds like a campaign speech – Well, I do plan on grilling Spencer as much as he will endure so we can all learn a ton. As a scientist, I’m pretty good at picking things apart and keeping well written notes. Finally, I am really looking forward to participating in this project no matter who wins; and I want to wish all the other finalists good luck! I also truly hope we have fun besides making it super informative and thanks Spencer for setting this up! I have created Niche websites since the popularity of the WSO – Xfactor websites. At one time I had 10 – 20 websites and made 300 – 400 per month. Then was hit by Google algorithms and my sites rankings and income was lost overnight. I was shocked and disappointed as I had spent a lot of time and effort reading, building and maintaining these sites. Overnight, my plans had changed; my life plans had to change. I have a degree in Business and IT from a top Australian University and have worked in a large corporation for over 5 years as an ecommerce consultant, but still can’t get “Niche sites” right. I am very good written and verbal communication skills and excellent technical ability. I currently do not make any money from niche sites. As in my previous response, I was at one time making 300 – 400 dollars from adsense and amazon income. In total I have made around 3000 – 4000 dollars over 4 years. I can put in 10 – 20 solid hours per week being coached, creating and documenting my progress. I am committed to making this coaching a success for myself and you if given the opportunity. I have been following your site and smart passive online for many years. I know it is very possible to make money online through Niche sites and have experience some success before. I believe this is a HUGE opportunity to be coached on how to do things right for LONG TERM SUCCESS. I have even met Tyrone Shum from the initial SPI niche duel 1. I am hungry for success through the creation of Authentic, Profitable Niche sites. I understand that the power of what you are trying to achieve and believe it will help me and your audience immensely. I have the ability to technically and creatively create authentic niche sites, but need guidance on execution of a successful site. I believe with niche site coaching I can truly become a real success story. I see this as “final call” opportunity in the world of “Making Money Online”. If you choose me as one of your students, I will not disappoint you your audience! In my current role as a freelance marketing consultant I have built and managed websites for a handful of clients. While I am not a website developer, I know the basics of HTML, CSS, SEO etc. and can easily set up WordPress sites. Marketing is my strong suit and I have extensive experience in website management and online marketing as well. I worked for three Fortune 500 companies – two in the tech industry – for over a decade. I have been involved in larger website launches such as when I worked for Dell and smaller, niche websites for clients. Some of the WordPress based sites I’ve created for various clients include an author’s book site, a publishing house site, a photography site, a public relations site and a personal development online radio (podcast) site among others. Now I want to start creating niche sites and other online ventures for myself! Right now I am a “wannapreneur” in terms on making money from online ventures – so I’m not making anything online at the moment. 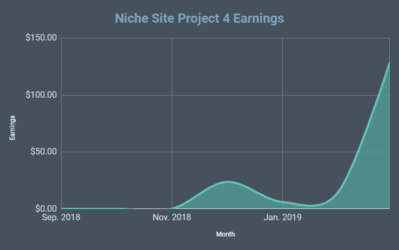 However, this is one of the main reasons why I want to participate with the Niche Site Project 2: I WANT to be making money from online ventures! Ideally, I want to leave consulting behind since it is a time-based business, in order to create scalable and more “passive” income streams online. I am wrapping up a client project this month so I am pretty much free to put in as much time as needed. I estimate that I would initially put in about 60-80 hours a week into being coached, creating a niche site and documenting the progress. I would rather put in a lot of time in during the first few months – especially in the first month – in order to get the site up and running as quickly as possible without sacrificing quality. I am very eager to get going and doing! In short I am your perfect student: I have the time, knowledge and DESIRE to create a successful niche site from scratch for Niche Site Project 2. Basically, you want to pick me because I am extremely motivated to create a niche site from scratch AND share the tools, tips and techniques learned from Spenser with Niche Pursuit readers. I am DETERMINED to create a successful niche site – and with Spenser’s coaching and feedback from readers – I believe it will be successful AND a lot of fun! I do NOT need any baby-sitting – I am a self-starter, I am VERY passionate about this, and I am pretty well versed in online marketing, passive online income sources and niche site development. If you pick me, I intend to share everything that I learn from Spenser and the process that will help others to start or grow their niche sites. It is my desire that by the end of this journey we will ALL learn a lot and perhaps inspire many other “wannaprenuers” to get started as well. First, hi everybody! I’m stoked to have this opportunity and to share my progress with the Niche Pursuits community. The Niche Site Project is such a cool idea, and the idea of Spencer teaching a student is even cooler – it provides a kind of open-source learning that just isn’t available anywhere else. I’ve been trying my hand at niche sites for a couple of months now. So I’m pretty new. I’ve built about four sites, none of which have been that successful (that’s why I’m here!). Of course, like most of us who get into this, I’m just a super curious person. So I’ve read a few books and asked about a million questions on r/SEO. My four niche sites are still new, but with those, the gap between $0 and $1 still feels pretty gigantic. 3. How much time are you willing and able to put into being coached and working on sites? I’d say 20 hours. I know Spencer said to expect 10 hours, but I feel like it’s important for you guys to learn as much from this as I do. So, in addition to the actual work of creating a niche site, I’d like to be around to show you my process, my hang-ups, my misconceptions and my successes. I don’t know what Spencer has planned, but it’d be great to add to the discussion — with blog posts, commentaries, etc. – so you can get a peek inside my head. This whole thing is about learning together! I think I’m stuck where a lot of people get stuck. I know WordPress. I’m learning the basics of SEO. I even have a few (unprofitable) sites. But I don’t yet understand how to pull it all together. It’s like there’s this mysterious force-field between my hard work and my first dollar. My inkling is that lots of people are in exactly the same spot – sitting on a few sites they’re really excited about but not quite seeing the results they were hoping for. Now, this doesn't make me special. But it does make the perfect guinea pig. And I think that'd be pretty valuable for everyone. Lastly, I hope Spencer can teach me how to write good calls to action. Mine are always too sudden and obvious. Vote for me please! I have built at least two dozen websites, about a dozen have been niche sites. 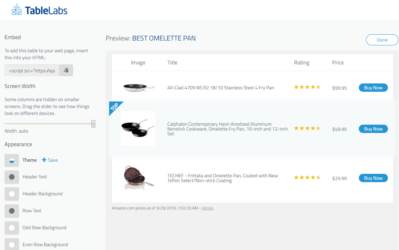 All of these sites have been built with WordPress, however one has been build with Opencart. I am also looking at building some eCommerce niche sites with wordpress. At the present time I am making about $100 dollars a month from my niche websites, this is mostly through Google Adsense. I am also looking at building a few sites that will use Click Bank products as the monetization method. I am working part time, which will allow me to spend 20 hrs or more a week working on the niche site. I have been following your blog for more than 6 months, studding and using your tactics to create niche websites. I am very ambitious and feel confident that I would make a great student. My inquisitive and imaginative mind, will allow me to come up with questions and ideas that we can collaborate on. Thus, bring a new prospective to what you are doing, while educating your blog readers from a different point of view. My goal for becoming your student is to learn as much as I can all the while educating as many people as possible with an easy and detailed step by step system, that anyone can use to start creating niche websites. I have experience in building websites, however not specifically in niche sites although I have gone through several trainings and believe I have an understanding of what is involved including the supporting pieces like Aweber, hosting, researching trending products, hiring outsourcers, back linking from reputable sources, blog curation, etc. Money that I have made so far has been through an international Telesummit that I delivered, online book sales and selling domain names. During the ramp up phase I am willing to dedicate as much time as it takes and an on-going basis on the average 25-30 hours per week. I can also make myself available in the evenings and on weekends if that is best for Spencer. To date, I have invested a lot of time learning and have finally landed on building out niche sites, which suits my skill set well. Because I am a marketer at heart, I think that I will be successful. I understand all of the related pieces to a niche site, but what I lack is a formula and someone to ask questions of when I hit the stuck places rather than allowing them to derail my progress. Like many others that follow Spencer’s blog, I have succumbed to ‘shiny object syndrome’. As a result, I have many worthwhile software tools in my arsenal including, but not limited to, Spencer’s Long Tail Pro and Niche Website Theme, if these would be useful in the process. Being a natural teacher, the advantage of picking me as a student is that it is easy for me to put myself in the mindset of a beginner and communicate that information. What also is an advantage is that I have a brain that often will see the bigger picture and connect disparate concepts. I am very comfortable with documenting my progress and can articulate information in a way that others would find useful. 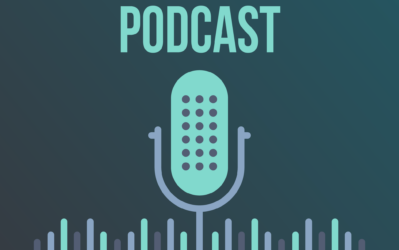 I have no hesitancy on our conversations being recorded or shared, and would also be willing to answer any questions that someone wants to ask me directly as we go through the process. In conclusion, from the moment that I saw Spencer’s email I have been completely stoked about the opportunity. I think he offers huge value to his clients in the information that he delivers on his blog site and with the products that he sells. I started building niche sites in 2011 after finding your website, staging-nichepursuits.kinsta.com. After a building a handful of sites that were quickly de-indexed by Google's algorithm updates I gave up on building niche sites. In January of this year, though, I started building niche sites, again, using quality SEO techniques and content for the niche sites. Currently, I make around $400 a month from 3 different niche sites which I created this year. I'm very passionate about learning all that I can about niche sites and can dedicate 25-plus hours during the week. I work full-time, but am eager to see where niche sites can take me. I consider myself an ideal candidate for the ‘Niche Site Project 2.' I'm a dedicated student – one who is eager to learn from who I consider to be ‘the best.' With your guidance, I believe I can create niche sties that will flourish and take on an identity of their own in the online world. I'll do whatever it takes to ensure I succeed. My drive to succeed stems from the need to provide for my family. In January 2013, my wife and I were told that in order to achieve a family we needed to purse non-traditional methods (ie. IVF). This, of course, resulted in additional costs which is why I started building niche sites again. In April 2013, a pregnancy was confirmed (we're 20 weeks along, now)! I would love the opportunity to learn how to perfect the process of building niche sites so I can use it to generate a second source of income for my new family. Thank you for your consideration! I make about $50 dollars a month, so I have some traffic, but I am having problems with the amount of backlinks that are needed with these niche websites it seems like everywhere you look there are new methods. I will put in whatever it takes to get a website to be successful. I really want this to work and have already done some keyword research with Long tail platinum, but have not created any of the websites. I know the keyword research is the key to the whole process and that is probably why I haven’t created any new websites since buying the upgraded longtail platinum. I am motivated to make this work, but I don’t think my keyword research is all that great. I have built a few websites, but never got any real momentum on any of them to get to a point to replace my job, which is my goal. I would love to have this opportunity to be coached to hopefully a successful niche website. I will put together my own pdf with everything I have learned for Spencer to give to all of his readers to help others be successful like I know I will be with his help. My ultimate dream is to travel fulltime and live off my earnings online so this opportunity could really get me closer to my end goal. I honestly have only been building niche sites or affiliate sites since January of 2013 as part of my New Year’s resolutions. I have since built 5 affiliate sites. Though I have 5 affiliate sites built with what I feel like are high-converting offers and well researched keywords, I have yet to solve the traffic conundrum. I am getting absolutely no traffic even though I have some web 2.0s, link pyramids, social bookmarks, etc… Because of my lack of traffic, I have yet to make 1 sale. I am willing to spend 10-15 hours per week toward being coached, creating the niche site and documenting my work. I have a full-time job, but I have no problem working mornings, afternoons, and weekends. My job also allows me to financially contribute towards the development of this niche site project. I should be picked because I have a strong, burning desire to be successful at Internet Marketing. I’m very dedicated and a hard worker. I continually educate myself everyday about different aspects of the business. I’m only 8 months into IM, and I feel like when I can become successful, it will allow me the freedom to have more options in life. I’m looking to find a rinse and repeat system that will allow me to have enough of a passive income over time to give me the freedom that I and everyone else deserves. By being chosen for Niche Site Project 2, it will allow me(and everyone else that I will help) to possibly save years of effort by being able to learn what actually works much faster, which will lead me to being successful sooner. Vote For Your Favorite Applicant Here! I look forward to seeing the results! As always, I welcome your comments and feedback below. I enjoy the discussion, so feel free to ask any questions or share any other thoughts that you might have. 2013 Year in Review: How Did it Go? Quite an in depth process you used there Spencer. Looks like you have a good bunch of candidates to select from too. Good luck to whoever get’s chosen! Quite a selection of applicants you have there, Spencer. I’ll have to take a minute or two to see who is the closest to me, as that’s what who I’d like to see you teach and that’s how’ll probably have most of the same questions that I have. Applicant 9 sounds like me and my niche pursuits. Let’s see him! That’s who I voted for too Dan. Sounds like they have he basic foundation and, with Spencer’s help, could be a great success story! Looking forward to this, looks like you have some great candidates. I voted for my favorite and I’m sure this will be fantastic whomever you choose! Glad you liked that decision! I feel like we should be voting on the responses to the questions, not country of origin, gender, what they look like, age, etc. Thanks! Choosing to do that helps to reduce any bias that may arise in people. Looks like you have a great group of applicants there and I think with your tutelage they will be successful. I think applicant 2 is made $400 like me. if a person can make $400. he can make 4000 as well. i know, i can thousands per month and have knowledge. peoples who say they are wana preneurs usually never take actions. I agree. This double-blind pool is perfect for something like this. The person that sounds like they are going to grill you and isn’t afraid to ask questions has my vote! I hope whoever gets chosen isn’t afraid to ask “stupid” questions because at least half of the audience will benefit from it. Good luck all! Applicant 1 was my top choice also, Rog. Not just the part about grilling Spencer – the next sentence about “picking things apart and keeping well written notes” exhibited good qualities for the student in this project. Great list of candidates. I had a hard time narrowing down my choices. I’m glad you gave us the ability to vote for 3! I’m looking forward to the end results. I am not going to vote for anyone to be honest. You could call it sour grapes as I didn’t make the list and that is exactly what it is. I know I should be a lot more grown up about this but sadly I am not. Just for once it would have been nice to see someone from outside the USA selected. It would also have been amazing to watch someone who has never made a dime make it as well but most of your applicants have experience. It would also have been nice to see someone older making the list but we know not where these people are from or their age. I appreciate you are trying to sell your keyword tool so that ruled out another bunch of people. Good luck to whoever is successful but think I will give this one a miss. You are entitled to your own attitude that’s fine. But just so you know, the applicants include every category you just mentioned! Multiple applicants are from outside the US – not sure why you think they are all from the US! Multiple applicants make almost nothing from niche sites (as shown from their answers), some of the applicants have experience but some don’t. Also, some of the applicants ARE “older”; some also aren’t men…(shocker!). If I revealed all that data, people would have picked or NOT picked someone simply because of these identifying factors. Also, just so you know…MANY of the applicants do not own Long Tail Pro; so owning the software was not required. Those are great points, and I am very glad to know that there was such a variety represented in the candidates. It might have been a good idea to include what you just posted in your introduction above the voting, so that everyone knew prior to voting that there truly was a wide variety of candidates represented. Hopefully others who read your reply above will be assured that there were many demographics represented. A couple of the responses gave a little bit away – one indicating the country of college, and one indicating age range – but I don’t think that info should have really influenced anyone’s voting unfairly. I am happy to know that the three I voted for were the top 3 in voting results, at least so far. I’m glad I did not see the totals prior to casting my votes, and it is reassuring that others must have seen some of the same strong qualities in the applicants that I did. All 9 look like very worthy candidates, but I am personally glad to see some of those with LESS prior or current experience ranking highest as of now. Great selection process Spencer, I hope it goes really well for all concerned. I’m still applying what I learnt on NSP1, so I’m looking forward to seeing what new gems come out of v2. She sounds enthusiastic, but most importantly she’s already taken action. When I see other applicants who haven’t even bothered to try, I doubt whether they’ll stick with the project in the long run. But I can see Applicant #4 following through to the end. She’s tried and failed which is where everyone starts. But once she learns a proper process, she’d be successful. What makes you think that applicant #4 is a woman? What i would like to know is why with all the great information here about building and ranking a niche site why are so many people unable to replicate it? This pattern seems to be repeated across many websites including with Pat Flynn at SBI. What is it that separates Spencer, Pat etc from the rest? Looking forward to finding out with the niche site project. I think the backlink process is too much for most people and that’s why they don’t succeed, because they don’t get to the top of Google and even if they do, there is still the issue of getting a keyword that attracts people who are ready to buy things. I have looked at backlinks of successful sites and there are thousands. It’s very complex. And most people do not want to hire VAs. Nevertheless, I still want to learn! 1°636 applicants is an impressive number ! It really shows a lot of people are trying to succeed in the niche websites business. I applied and wasn’t lucky but I’ll be following this project with a lot of interest ! 2°Reading that other people (and I think most people) struggle with making money online is reassuring. Sometimes when you fail with your niche websites you think you’re just a looser but in reality you’re like 95% of people trying ! It helps put things in perspective. And this project is a great opportunity to learn what to do to belong to the 5% who succeed ! 3° Good luck to every applicant ! One of the applicants even made an error in your name’s spelling. Nice! I could find only one who I think will put sincere efforts in this project. Best of luck….. I learned so much from the first project. I printed them and followed them faithfully. Thank you Spencer for your mentoring and your gracious giving of your experience. You’re a good man. I think just to be able to experience someone being helped is a great feeling. i New to the online world but after reading pretty much all your post i feel cofindent that win or lose im willing to build a niche site on my own. this is ill def help me as i follow and learn from your teaching as i did in your first Project. Anyway, great approach and method for selecting, I like the obvious diversity of people and age ranges. Who ever wins will be extremely fortunate and extremely embarrassed if the don’t plug in the max time they possibly can. If people don’t capitalize on having Spencer’s help, I don’t know why they applied in the first place. Also, you’re right. There seems to be a lot of sour grapes going on here. What did people expect. Not everyone can be chosen. I was honest enough to admit I was jealous and put it down in writing. That actually isn’t a crime. I certainly don’t need advice from either of you two when it comes to getting a life. If you are both so great, then why are you here? Might it be that you haven’t a clue how to make money online perhaps? Perhaps Steve it is you who needs the life and not me and remember your “lol” in that sarcasm is by far the lowest form of wit. My comments were for Spencer who kindly replied and not for two wannabees with little to offer anyone. Also let me point out that it is not sour grapes but bitter disappointment that convinced me to write my comments. My final thought is that neither of you have any idea whether this is diverse or not. I have no doubt that it is but only someone who is slightly insane would say that the diversity is obvious. This looks like an exciting project! I’m rooting for one of them and have voted for just one. I think it is risky choosing someone who has not attempted to do something on their own without even the tiniest success, in case they do not follow through. Someone with the tiniest marginal beginner earnings has the deepest hunger to get started for real and keep going. Choosing someone flexible, with a sense of humor will get you and them through any low times. I also see someone where I was about 12 months ago and they totally have the potential to skyrocket in time for Christmas, if given the right direction now. It is great you are sharing this info Spencer, I am sure it will help people get a foothold online! Good luck everyone. I think the plan to see who your audience wants to learn from is great! Even if you went to a final round of 3 with 60 second interview would be pretty interesting for your audience. When voting I was torn between my own self interest (who was most like me and hence I could learn the most from) and who would get the most value…luckily there were 3 votes so I split the difference! Good luck to whomever wins…do us all proud. I thought about who would be most likely to succeed, and who the community could learn the most from. Having the ability to choose 3 people really helped. I like your idea about the interviews. That could be interesting. I agree with Jon about the possibility of a short video or audio interview with the final 3. Perhaps something casual where we could get a better sense of their personality. 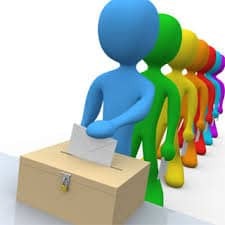 I agree with all the previous comments about not wanting votes influenced by their age, nationality, etc etc, but as a lot of the interaction we will see will be video (I’m guessing), it would be good to be able to vote for the person who think will be the most engaging. Just my thoughts on it, either way Spencer this is exciting and best of luck to you and the final winner. #4 is enthusiastic, fresh and optimistic(important!). I’m excited to start following along. I don’t know about anyone else on here, but I am having problems surrounding myself with like-minded people who want to build niche sites, bounce ideas off of, offer assistance, etc. I have a meet-up.com group that meets once a month but it’s not really cutting it. If anyone wants to chat, discuss issues, vent, w/e, feel free to email me. I’m staggered so many people were on the list of possibilities. Just shows that Spencer’s site is pretty popular. It was no 4 for me, as newbie as possible, I’d like to see someone with as little experience as possible. Ideally I’d like to see someone who is non US as that’s me, and finding it difficult to find a local niche, not enough search volume, and not easy to do a niche in another country. Voted for #4 cuz he/she made me laugh. I can really relate to him/her, feels like I’m in their shoes when it comes to niche sites. Hope he/she makes it. I just voted … good luck to those in the running. I will be following this experiment! Keep up the great job Spencer! This is a great chance to learn from the best. I have been following Spencer for some time and I am slapping myself for having missed this… I cold have been one of the chosen applicants if I could have applied. Oh well.. good luck to all on the short list. I’ll be rootiing for you (chosen one) and following this. Good luck to all the hopefuls – I just voted and I am excited to follow this and see what happens. I have long tail pro and it is a great product especially for my kindle writing and blog and creating my site (to be launched soon). Many say that niche sites are on Google’s death list. I beg to differ and Spencer is a one who makes it easy to not believe this. 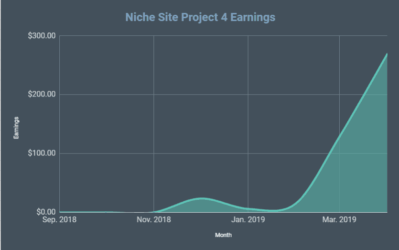 Niche sites still make profits and I am excited to learn more from this project in my own niche sites making. Good luck all and thanks Spencer! I just found this today and I am envious of the one to be chosen for this remarkable chance to learn and profit with niche sites. I have voted.. good luck to all of you and I have RSS’d this so I will be keeping tabs on what happens. I am especially interested since I am into site flipping and this is just what I need in my biz. Great blog – a definite keeper of info! Nice set of applicants, it was pretty difficult to cast my vote. It’s a nice thing to have the community vote for their favorites, now I will clearly have some people to support if any of my choices makes it to the end. Either way, this will be extremely interesting to watch. I voted for #4 for one simple reason: I feel like I am in the same boat as him and would learn from you teaching him. It is really friggin’ hard to put it all together when it comes to web stuff. #4, I am rooting for you! You’ve used a very logical approach all along this whole thing Spencer – it’s been a fantastic process! This has been really cool, and all the best to the student – make it really count! And remember everyone; even if (like me) you don’t get to be the student…there is no reason not to take the inspiration and knowledge and follow right along!!! Thanks Steve…glad you like the process! It’s applicant 2 here! I can see theres not much love for me on the voting at the moment. What I can say is that I have been through thick and thin of online marketing. Working full time and attempting to “make it” online is TOUGH. Spencer has provided a opportunity to show all of us how its done! Give me a chance guys! @Applicant 2, it’s not lack of love, I think it’s just that you have quite a lot more experience than most of us (I think) and you’re a tech professional. A lot of us (I think) want someone who is more “green” and thus in the same boat. Your write-up was very impressive! Wish you luck! Yes I am a tech professional and more so I have experience in trying to make niche sites and failing. It is a true emotional experience and requires true heart to succeed. I have put in many many hours , money on online dreams. I think with a little guidance from Spencer I have the tools and mindset to SUCCEED. #4 , becouse he is optimistic like me. #SIX. There are so many people who are unemployed and who have kids to support. Spencer, You will get the most dedicated person who, because of their kids, they will NOT — under any circumstances — let you or any of your list of subscribers down. They have the obvious maturity, tenacity and the desire to get back and be successful. They just need that one break to make it happen. Picking #6 will show us all what it takes to go from zero to hero and run to the bank with the results. I hear you Julia. However, since I’ve decided to make it an open voting process…I won’t be picking the winner myself. Thank you for your vote confidence. You are correct about being tenacious. It is 11:30 pm here, kids are in bed, finished my ‘day’ job, and I will be up until at least 1:00 am reading through material to teach myself about SEO. Choosing keywords has always been the piece that baffles me and seems to trip me up in getting my sites launched. The learning curve with Internet marketing has been huge. I think that is why so many of us fall into ‘shiny object’ syndrome. Over the past year or so I have bought many trainings while attempting to find where I would be successful based upon my personality type and skill sets. To #4 and #6 and all in the running: If you lose, it isn’t love you didn’t get… it is simply the luck of the draw – vote. I am sure everyone on the list deserves to be chosen… and so I didn’t read the bylines… I simply picked 3 numbers and voted. And it appears that two of my impulsive picks are leading for now. All I can say.. is if this project is a success, then I hope Spencer can offer an affordable paid version of it, so many can be in it. If one is serious about succeeding, then they will save for something like it and pay to succeed with Spencer. Good luck all! This is turning into quite a show and it is very exciting! Thanks for the thoughts Barbie! I agree with “barbie toys”… it isn’t love you didn’t get… just luck. And it is to #2, not #4 as he or she is leading the vote. I second an affordable hands on course to succeed with Spencer! Thanks Spencer for doing this.. I am very interested in this and looks like everyone is too! Thank you for doing this. I am sad that I was not one of the chosen few. However, I do hope that the winner will represent us that cannot stay motivated long enought to deliver a digital product. I have become aware of a few local Meetups in my area (Twin Cities) on topics such as SEO, and IM. I put together a proposal for these groups, or perhaps a new Meetup with this premise. Maybe YOU could start a something similar in your area! I applaud you for taking on this niche site 2 project with a student. Your courage on developing a project from start with all details laid out for the readers really show a lot of faith in your keyword research methods. I was wondering whether you always have close to a 100% success rate with your mns and your keyword research. Because i try to follow your methods as much as i can, and i launched a lot of mns and some of them are big hits and make a couple of hundred $ per month, while some of them are terrible and make no money at all, despite putting in the same effort and same methods. Overall, the ROI is good, but i am wondering whether can I improve my keyword research more or is it the nature of the mns that, despite good keyword research, sometimes you hit a bad niche and you can’t make money in it. And related to that, how are you so confident that the niche site project duel 2 will be another success? Maybe despite good keyword research this will be a bad niche? What i am trying to say, is there an element of luck and percentage success in your mns or do you believe that all mns can be profitable if followed the methods you lay out? But its always a risk – that’s why its a business. Thank you for your answer, completely clarified my questions. Best of luck with niche site duel 2. Boring … I hope you can pick your winner and let us know what we can learn from it. I’m always eager to read your post, but not really interested in knowing the candidates. To me, everyone is the same. I’m more interested in what you can teach them, or rather … us. I think this was a great way to vote, considering that people are voting purely on what the finalists have written about themselves, the winner has a great shot at success as they have clearly demonstrated that their writing style can convince others to take some type of action, in this case to vote. I think writing style has a lot to do with how well any content converts, how they can appeal to the reader through their content makes a difference and the winner here will be the one who managed to convince your readers they were the best applicant. Looking forward to the whole project! Still… kind of sad I wasn’t chosen but I did vote based on who was similar to me and I have done nothing when it comes to website or niche creation. Can’t wait for this to start. Nice selection process, Spencer. I was wondering how you would choose the finalists. I’m looking forward to the one i voted for but hope that the selected candidate is willing to work hard, learn and earn. And I’m still eagerly anticipating how you’ll manage the time required for this. But go for it, dude! Spencer, could you please remove post by Applicant 2… even if it is not really the Applicant#2. Voted and it looks like more people has voted on this applicant. Good luck for the winner! Excited to see who the student would be and to follow along with them. Spencer is doing an amazing job with this, good luck to the student, spencer and everyone following along.